Nathan and I love reading our chapter books together. After finishing up the long Farmer Boy, I decided to read some short chapter books next. We started reading some of the Magic Tree House books. They are short enough that we can read one book a day. Even so, my eyes were attempting to close during our reading time the other day. I then remembered I had a couple Magic Tree House cds. Nathan happily finished the rest of his chapter book that day by listening to someone else read and I was reminded how much I love audio books. There are so many amazing audio books for children available! Why am I not using them more? I had a collection of picture books with cds that I used in my Kindergarten classroom when I was teaching. The children loved listening to those books! Nathan and Emma have made good use of those audio cds, too. I started a new search for audio books and quickly realized how many wonderful audio books for children are available! I’ve shared about finding cheap Audible books for adults before but never focused on kids. I was excited to discover how many great child’s picture books have audio versions available. The bonus is that children’s audio books are much more reasonably priced that adult audio books. 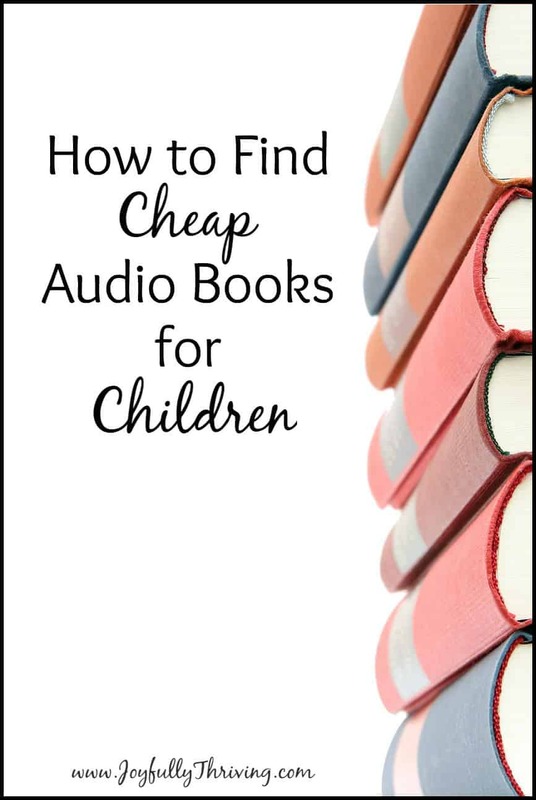 Adult audio books normally run in the $20 range, but I was amazed how many cheap audio books for children were – many under $3! I knew I had to share this list with all the other moms and teachers out there. I love reading to my children and spend a lot of time doing so, but sometimes I need help. That is where audio books for children come in. Books count whether you are reading them yourself, listening to your mom read to you, or listening to an audio book on cd. All are valid forms of reading. If you struggle with reading aloud to your children but know you should read more, audio books are a great way to make this happen! Here are some tips and tricks to building a collection of audio books for children without spending tons of money. How can I get free audio books for children? Let’s start with the true bargain – free audio books! Did you know you can listen to many audio books for kids for free? There are several audio book sites that have completely free audio books available. This is a great place to start building your own audio library. Storynory has free audio stories that are specifically for kids, including fairy tales and some original stories. Overdrive / Library is one of my favorite places to get free audio books. Simply sign up for an account and link it to your library card. Once linked, you have access to thousands of free ebooks and audio books that you can download from your computer and Overdrive app. It is very easy to use and a great source of free reading material! These audio book sites are amazing but sometimes, it is nice to own an audio book – especially for those books your children read over and over. For that reason, I think one of the easiest ways to get cheap audio books for kids is at Audible. How do I get cheap audio books for children? The nice thing about purchasing Audible books is that you do not need to be a subscribing member to find great deals. In fact, all of these deals that I am going to share with you today are found simply by going to Amazon and purchasing the audio book directly. If you are looking to develop an audio library for your kids, I would start by purchasing audio books that your children already own. 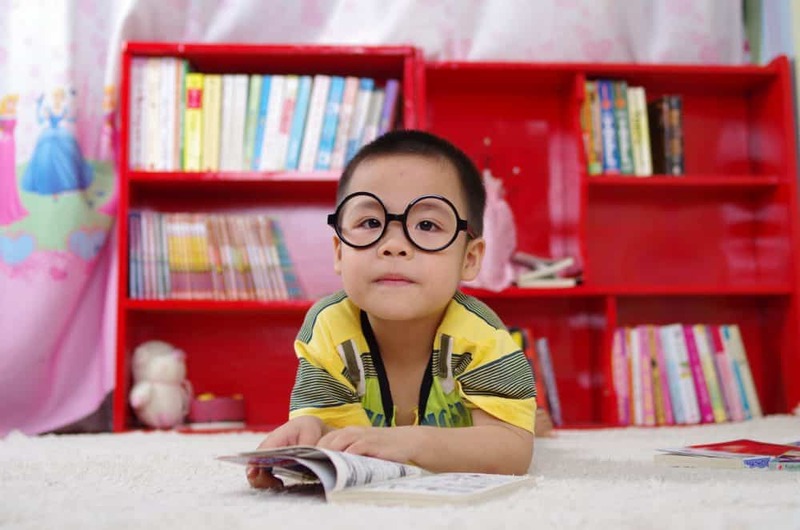 Does your child have an absolute favorite book or series? Start there. Next, I would purchase the audio books that your children love to read but you don’t own – and add the accompanying print version after you purchase the audio. 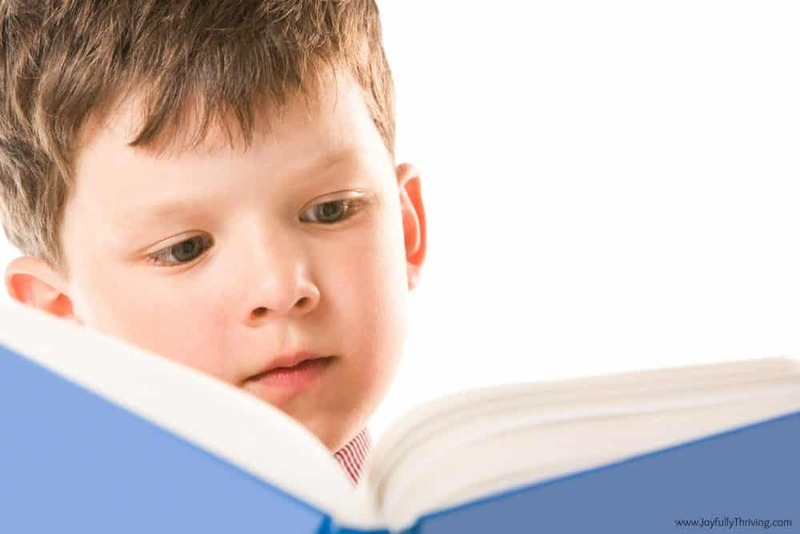 As an early childhood educator, I should add that it is important to pair a print picture book with the audio so young children can still enjoy the pictures in the books. Once you have the audio books, you can allow your children to listen their stories on the Audible app whenever you want. Perhaps you want to set up a special audio book time as you are fixing dinner, or at a separate quiet time. However you choose to use them, you can develop a full library of children’s audio books for under $20! What audio book collections for children are available? If you want to add more books to your children’s listening library, there are many fabulous collections available. While a collection is priced slightly higher, you are getting more books so it often works out to less than $1 a book. Llama, Llama is a favorite in our house! If your child has a favorite series, start with that collection and grow from there. To get the best deals on audio book collections, I recommend signing up for a free trial of Audible. It is simple and allows you to get more books for free. You do not have to stay a member for any length of time. If you decide it is not for you, you can cancel at anytime and your 2 free books will be yours to keep. Sign up for a free trial of Audible. Right now, when you sign up for a free 30 day trial you can get 2 free audio books from Audible! This is a great way to get a more expensive collection for free. Choose your two free book collections using your credits. Run the Amazon / Audible Matchmaker by clicking here. This link will search all the Kindle books you’ve ever purchased and show you what the price is for any Audible whispersync upgrades. While you might not find many matches with children’s books, you may find a great deal on one of your own books. What else do I need to know about purchasing cheap audio books? Once you purchase an Audible book, it is yours forever. Whether you are paying for an account or not, your audio books are always yours. You can listen to them at any time from your computer or on the Audible app. Remember, you do not need an Audible subscription to buy Audible deals. Yes, I still recommend you sign up for the free trial because you can get two free audio books to start your collection. After that, it’s easy to cancel your account and purchase a good audio deal when you see one. The best way to encourage reading is to read more. Audio books are a great way to encourage literacy in your room! Embrace them. Listen to them. Enjoy them. Do you have a favorite children’s book or series to read with your child? If so, I’d love to know! We’re always looking for new books to read!